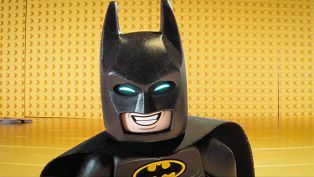 Well before the opening credits, The LEGO Batman Movie starts taking pot-shots at the superhero genre, the studios, the audience and even the generic way most movies begin – it’s meta that way. But this sets the tone early and as you enter the world of Lego Batman, voiced by Will Arnett, you know how it will turn out. The jokes fall thick and fast, and although not all of them land, you marvel at the writing when they do.The movie does get heavy during the middle, but if you’re a fan of its previous outing, you will patiently chuckle and wait for the goodies. And yes, there is a song and dance number at the end, which still continues to mock the brawny superhero and the genre he represents.